This week, (January 20-January 26) thousands of children, parents and community leaders across the nation will be celebrating National School Choice week. Supporters of National School Choice week believe that parents must be empowered to select the best schools for their children, and that elected officials must do more to expand access to great public schools, public charter schools, private schools, virtual schools, and homeschooling, because of the great success that they have shown across our state and country. Click here to learn more about National School Choice Week and see the activities we have planned below. Monday: Family Connection Team will send a comparison chart about how our school compares to the local city school district and students will participate in a daily charter school trivia on our morning show every day. Tuesday: All classes will show a short movie in their individual classrooms about school choice during homeroom. Thursday: Parents can help by participating in our video testimonial contest. We invite parents to share a 30-60 second testimonial of their child’s’ success at Horizon Science Academy of Lorain. Click here to upload a video and a chance to win a brand new IPad mini! We will raffle the names of all who enter and announce the winner the very next week in our weekly parent announcements. In closing, families should never be forced to send their children to failing schools with no way to escape. We urge you to join our celebration and help champion real solutions that work for our children and families. 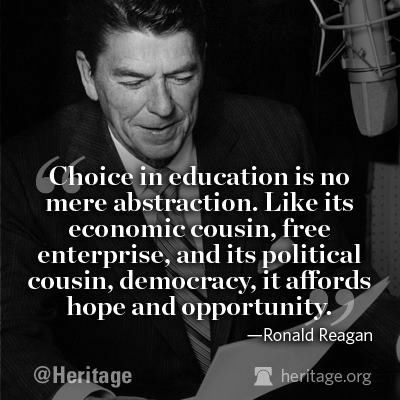 Help spread the word about being able to make a choice for your child’s future. Thanks for supporting our school and being a champion for school choice!